The more you read, the more you understand yourself. It’s a great usage of the 越……越…… (the more… the more…) grammar structure. But, in case you didn’t notice… it’s also a pun. 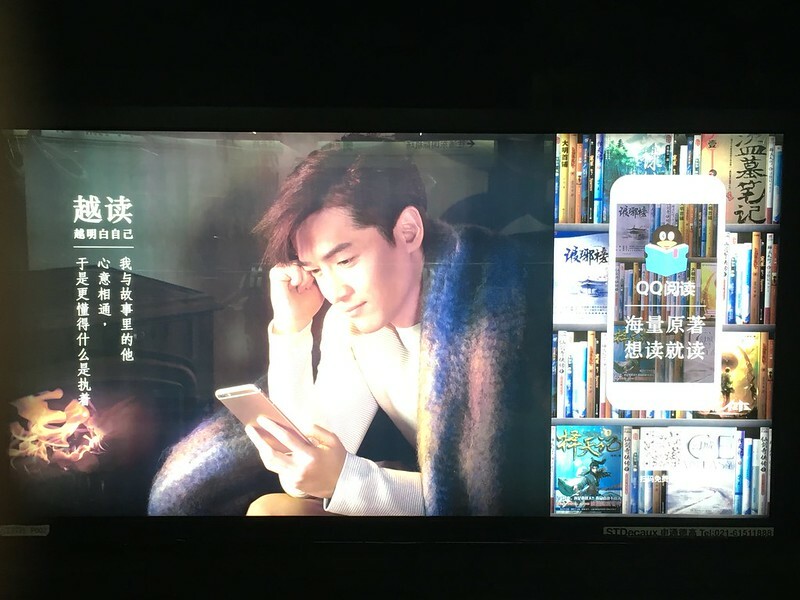 It’s an ad for QQ阅读 (Yuèdú), and it starts with 越读 (Yuè dú). 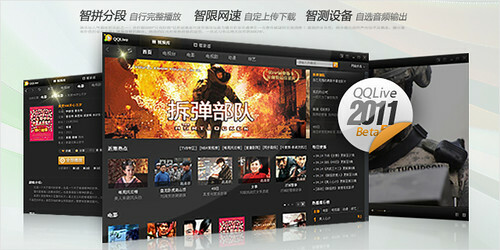 I’ve not been a fan of QQ the IM client, ever since its malware phase c. 2002. I used it to practice typing Chinese with friends online, but it forced me to use “Tencent Explorer” as my default browser as long as the software was installed. I have never forgiven Tencent for that. Still, this QQ Live application is pretty awesome. I discovered it through its iPad version (and wrote about it in my recent iPad Apps for Chinese Study post), but have heard that there’s a desktop version for Windows that works great too. Get it! It’s my experience that while this app doesn’t do anything that other apps don’t do, it’s especially fast (even if you’re outside China, I hear) and easy to use. Also, its limited selection is a blessing in disguise. 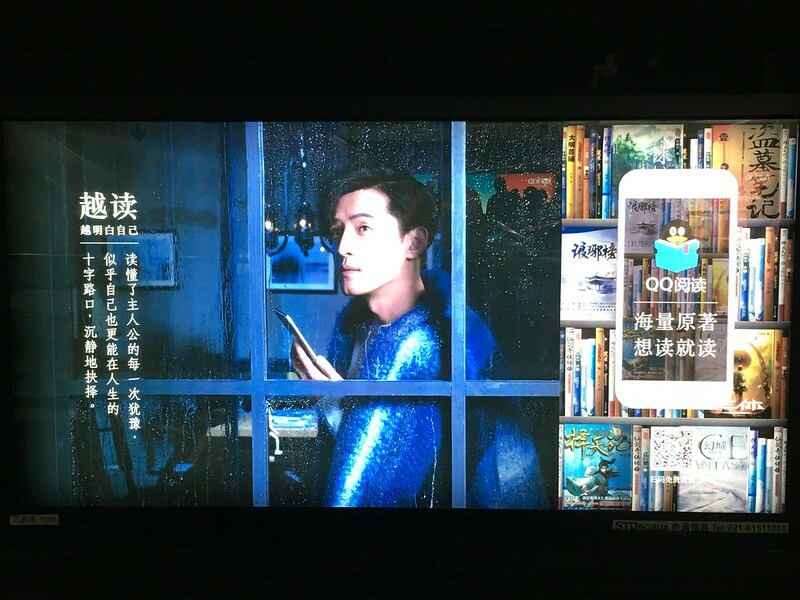 It offers a lot of the popular TV shows and movies (including my favorite, 非诚勿扰), and saves you the trouble of having to search on Baidu video or bittorrent sites. Remember: this is a free app with no login required. 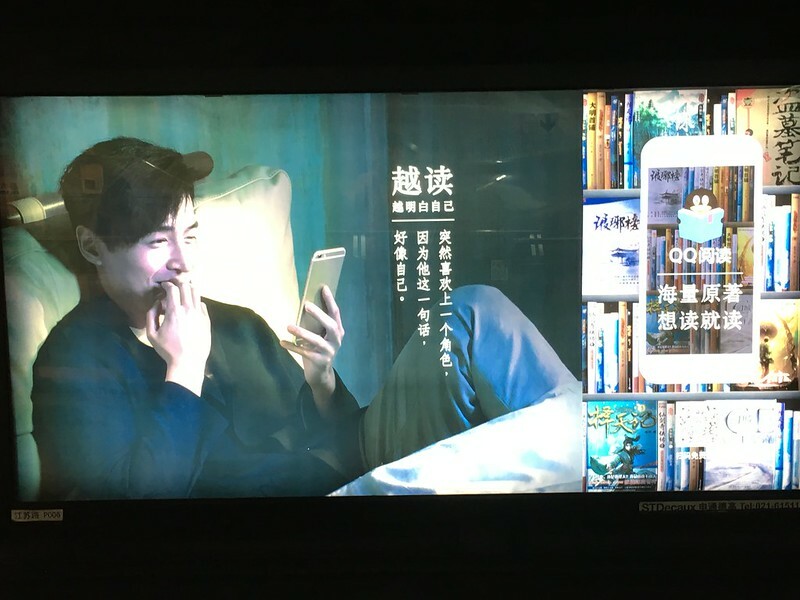 I suspect this is all a promotional trick and that we’ll all have to log in with a QQ ID just to use the program eventually, but that doesn’t mean we can’t enjoy it while it lasts!